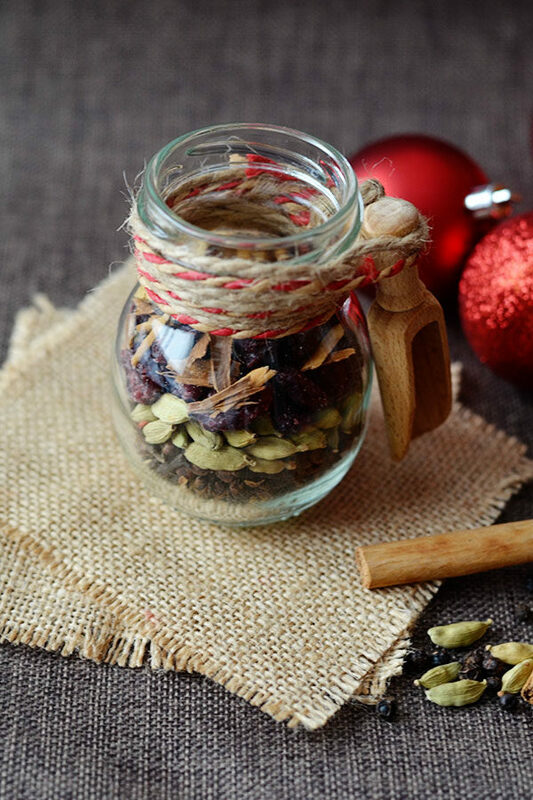 Move over mulled wine and cider here’s a delicious non alcoholic festive drink everyone can enjoy! 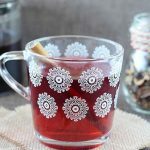 Being able to sip on this mulled hibiscus tea all day is a real winter treat and helps me appreciate the season. 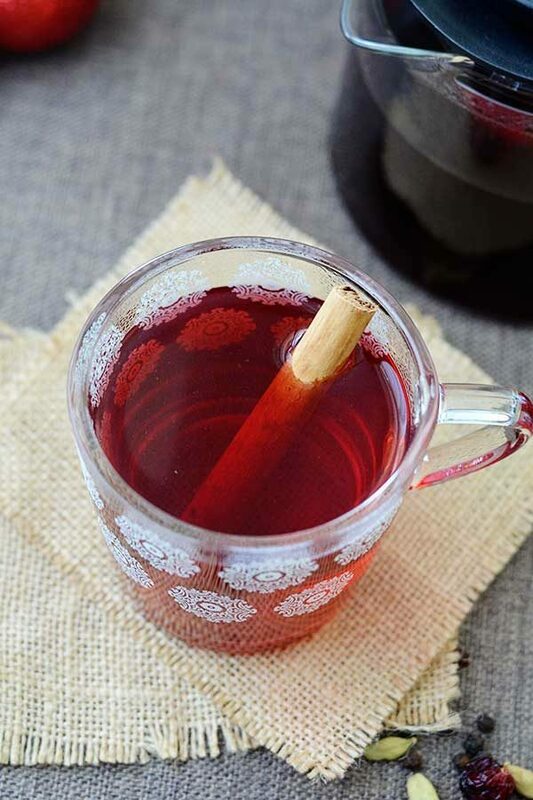 Last week I promised you my alternative to mulled wine. I bet you thought it was going to be alcohol free mulled cider or something like that. Surprise, surprise it’s Mulled Hibiscus Tea or Imitation mulled wine as hubby jokingly dubbed it. You all know how much I love tea! 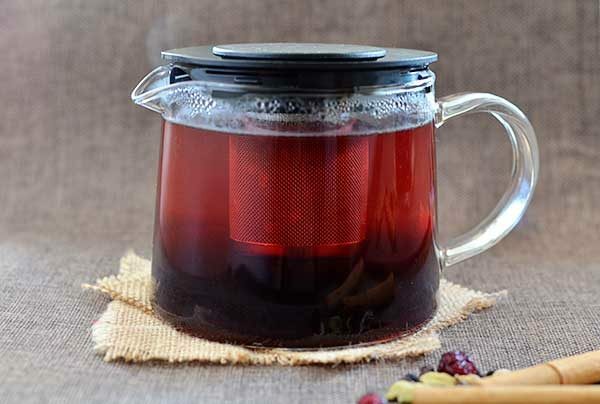 Because hibiscus is red and festive looking I thought if there’s any tea that would go well with my homemade mulling spices it would be hibiscus. I was spot on! 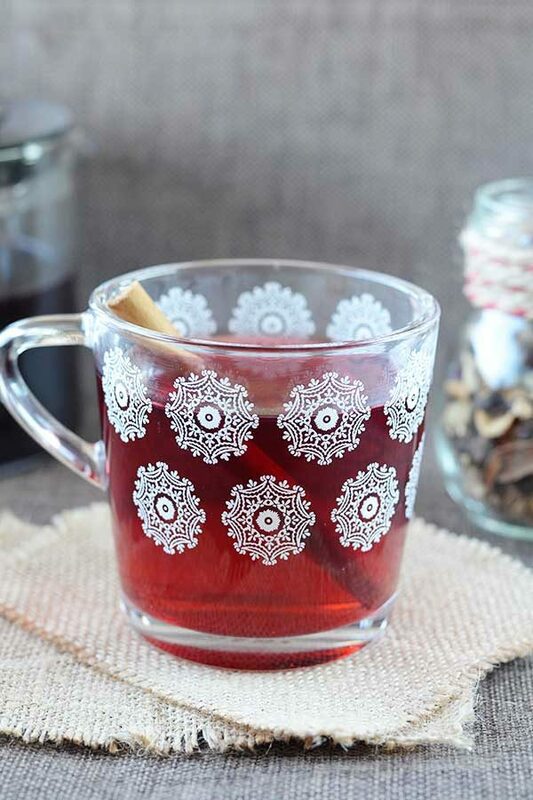 Hibiscus and mulled spices are seemingly a match made in heaven. Winter is not my favourite season. Ok that was putting it mildly, let me rephrase. I loathe winter! When winter rolls around I wish I were a bear and had the opportunity to hibernate. 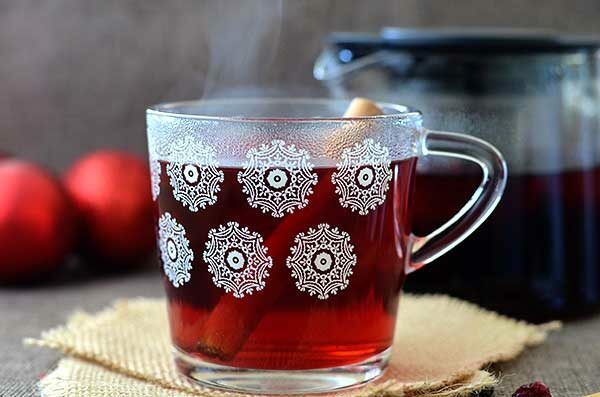 Being able to sip on this mulled hibiscus tea all day is a real winter treat and helps me appreciate the season. I’m really loving experimenting with my homemade mulling spices, they’re are so versatile. 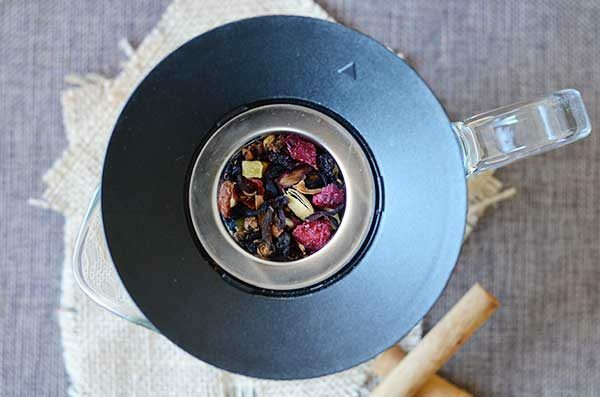 You can use them to make mulled kombucha, wine, cider, mulled hibiscus tea or even mulled coconut milk for the kids. Give it a try and if you do please come back to this post and leave a comment below. Steep dried hibiscus and mulling spices in hot water for 3 to 5 minutes. Bet you’re not a bigger tea fan than me ? lol Thanks for the feature Raia you rock!! Hi Krystal, just stopping by to let you know that I’ll also be featuring your recipe at Savoring Saturdays. I LOVE this recipe!